As part of NNIRR's efforts to lift up border issues nationwide, we have been exploring the corporate interests that are moving to fuel immigration and border enforcement policy and legislation. While we have become more familiar with the corporate interests profiting from the imprisonment of immigrants, we are just beginning to peel back the layers of corporations invested in increased border enforcement. Within the framework of the "immigration industrial complex," private prison corporations, defense contractors and technology companies are becoming even more intertwined with government actors and agencies, including elected officials, U.S. Immigration and Customs Enforcement (ICE), the Dept. of Homeland Security and the Border Patrol. 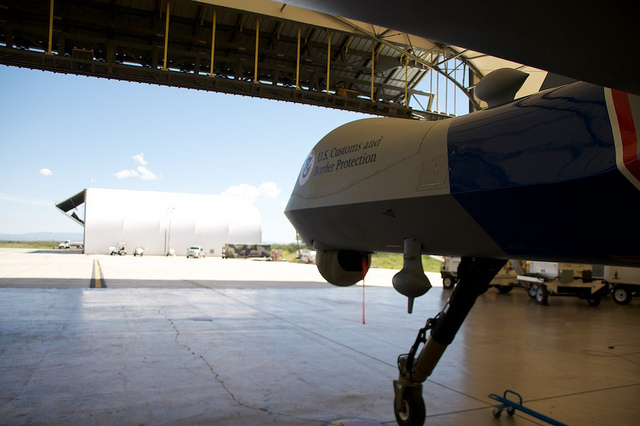 They are pushing a "hyper-militarization" of the border, with more and more government money spent under the banner of enforcement and typically justified as necessary for national security. This nexus of spending, political action and corporate involvement further undermines meaningful immigration reform and human rights at the border. Check out our developing resources here, part of our evolving website section on Seeking Border Justice. 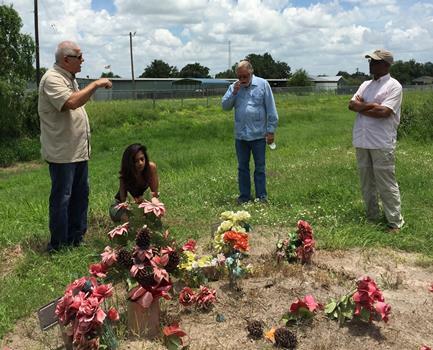 Eight members of NNIRR's Board of Directors recently gathered in South Texas, meeting with friends and allies in San Antonio and Alamo, and stopping in between to meet with detainees at the Karnes "family" detention center; view graves of unknown migrants' remains; and check on some of the water stations set up by the South Texas Human Rights Center in Falfurrias. It was a moving, productive, and inspirational road trip, however brief. We'll be sharing more from the trip and NNIRR's plans to lift up rights and justice at the border, but here are a few photos from the weekend (more postings are shared on our Facebook page.) 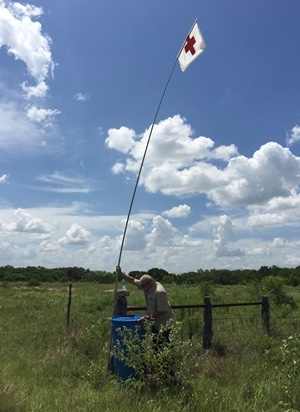 Please click here to see a recent news clip on the STHRC water station project. WBAI radio program on the border: NNIRR Board members Janis Rosheuvel and Eddie Canales, along with Executive Director Cathi Tactaquin talked with WBAI in New York on Tuesday about the visit and NNIRR's border concerns. You can listen to a recording of the program here. Thousands of undocumented Haitians and Dominicans of Haitian descent have left the Dominican Republic for Haiti in anticipation of mass deportations that will reportedly begin inAugust, according to Dominican authorities. The exodus comes on the heels of a deadline for "registration" of undocumented immigrants in the DR, and that following a 2013 law that stripped Dominican birthright citizenship from people born in the DR of undocumented Haitian immigrants (and including Dominicans who could not prove their identification) effectively making them stateless. The law was made retroactive to 1929 and affects hundreds of thousands of people of Haitian descent in the DR. The UN refugee agency, UNHCR, has urged the Dominican government not to proceed with the expulsions. Click here for a recent update in the Christian Science Monitor. Haitian-American novelist Edwidge Danticat also spoke about the situation in an interview on Democracy Now. "End, not mend, family detention," is the response from advocates and even some members of Congress following a June 24 announcement from Homeland Security Secretary Jeh Johnson that some reforms, including ending longterm detention of families, would be made. Rep. Raul Grijalva (D-AZ), who visited family detention facilities in Texas along with other members of Congress last week, commented, "I understand that DHS is taking some initiative to soften this situation, but it doesn't matter how gilded the cage might be, it's still a cage--it's still a prison for women and children." Opposition to the detention of children, women and men is growing across the country and internationally. UN Special Rapporteur on the Human Rights of Migrants, Francois Crepeau, has repeatedly voiced opposition to the mandatory detention of migrants. 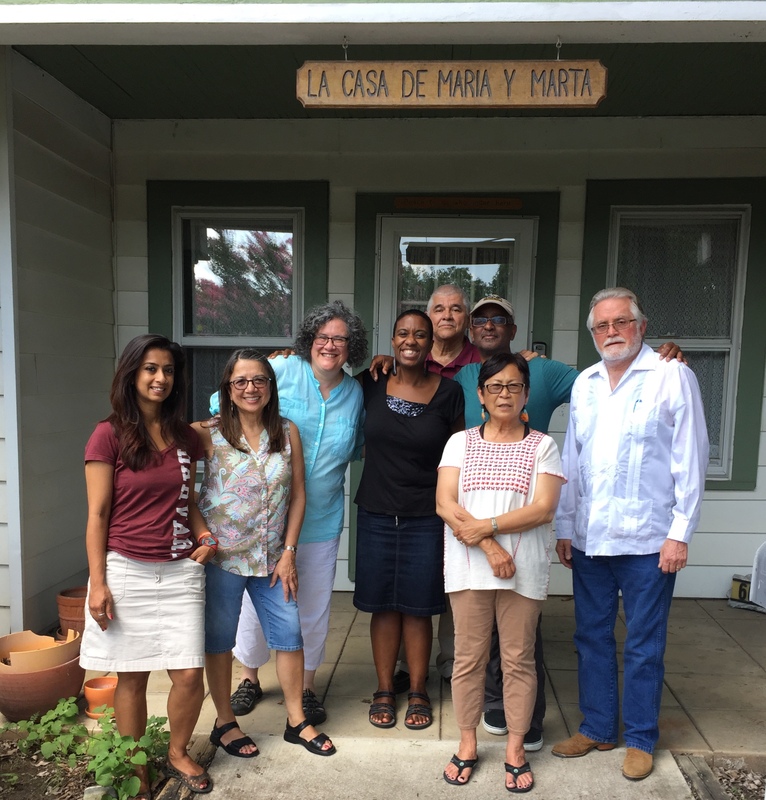 When NNIRR Board members visited women and children detained at the Karnes County detention center in Texas, they spoke with Central American women who had been in detention for over 11 months with ther children; their bonds were set at $7,500 and $10,000 each. 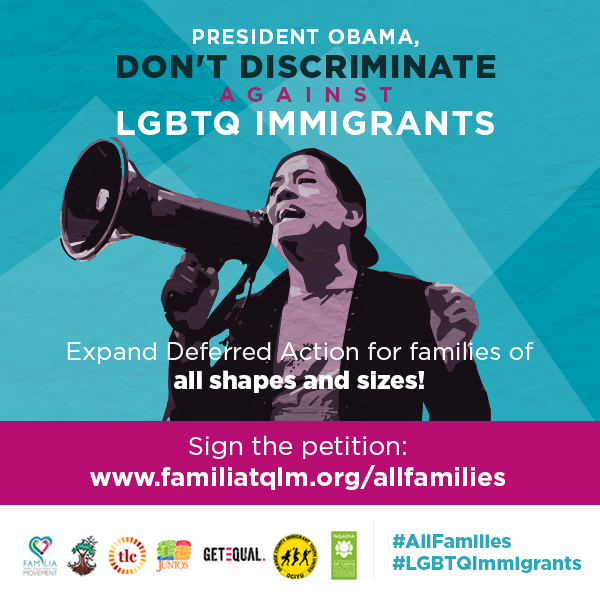 Please sign this petition from our friends at, Familia: Trans Queer Liberation Movement to end a message to President Obama, "to recognize that our families come in all shapes and sizes nd to include LGBTQ immigrants without children" in administrative relief. "The recent executive action taken on immigration by President Obama came as a result of tremendous effort by affected communities. More han four million undocumented people will be eligible for relief but the way it is structured disproportionately excludes LGBTQ people." 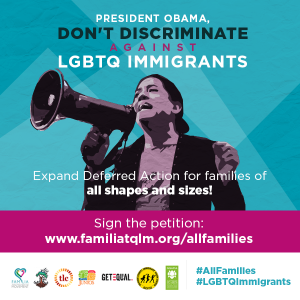 Mayor Eric Garcetti of Los Angeles has initiated a petition to be delivered to the Fifth Circuit Court in New Orleans, in advance of its July 10 ruling on President Obama's executive action. "Expanding DACA and instituting DAPA will have a positive impact on cities, states and the country as a whole." Click here to read the petition and join NNIRR in adding your name.